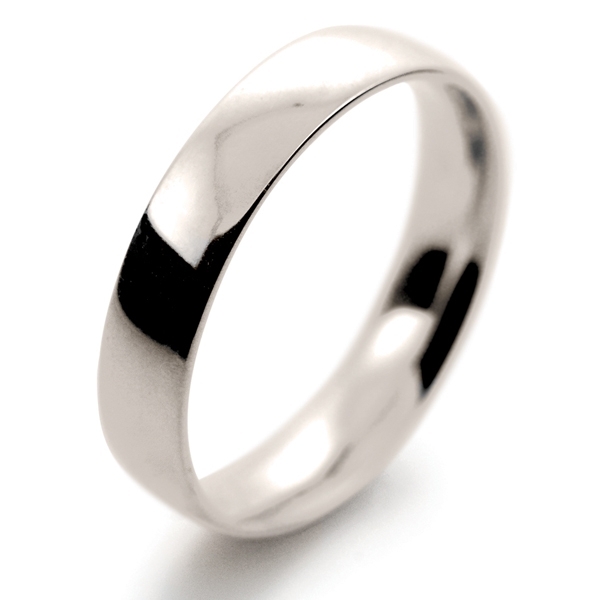 White Gold Wedding Ring Court Band Light 4mm. 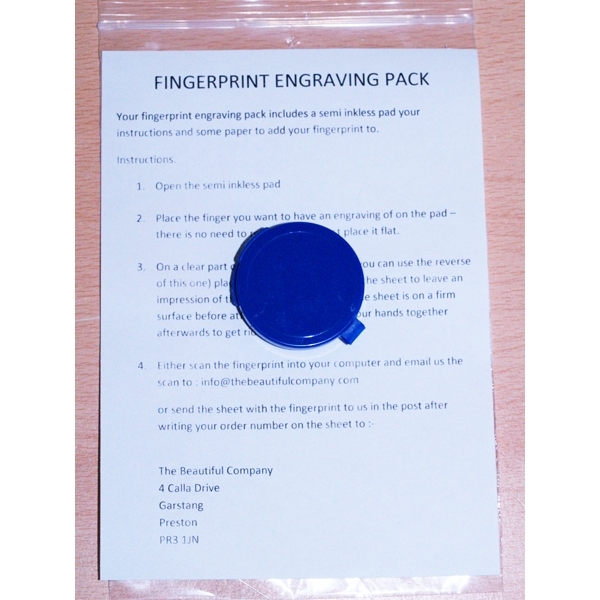 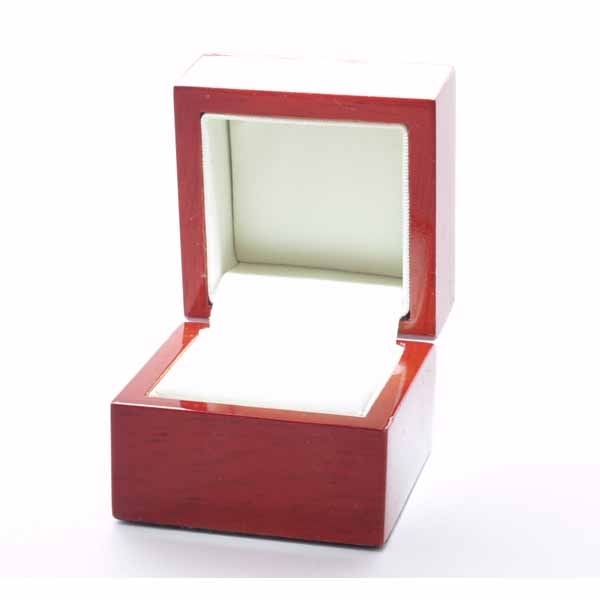 The ring comes in a velvetine pouch you can also choose to have it in its own real wood presentation box. 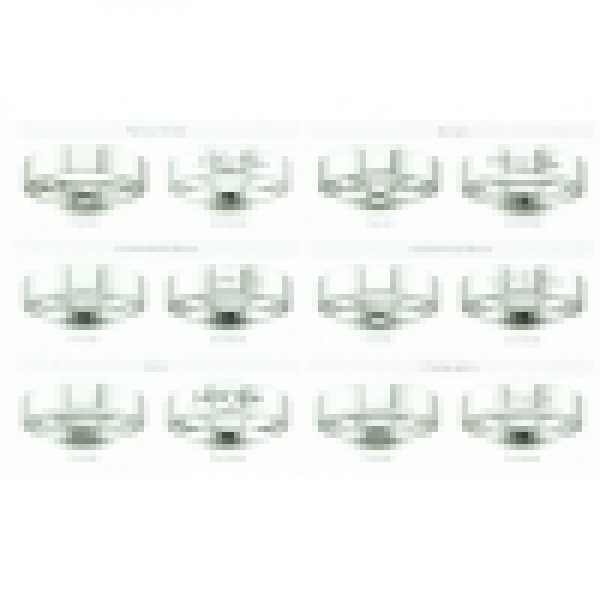 This ring has a Court (Comfort fit) profile shown in the images. 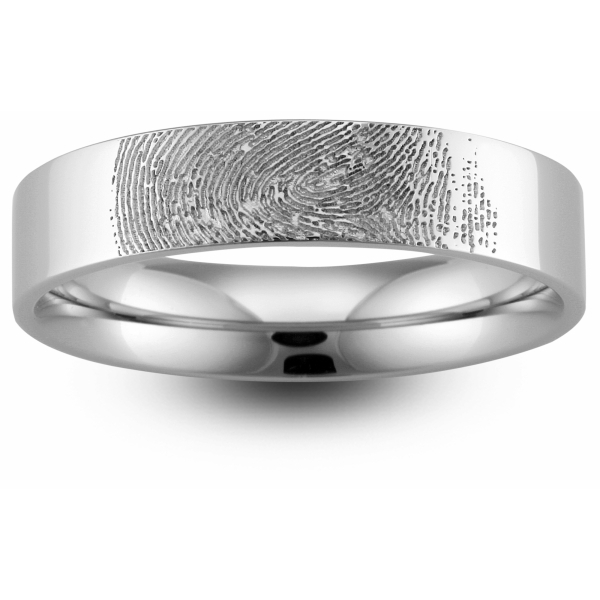 Ring Depth of the light 1.0mm, and the medium is 1.3mm (other depths available in White Gold Court Wedding Rings are, medium heavy 1.5mm, heavy 1.7mm and very heavy 2.1mm). 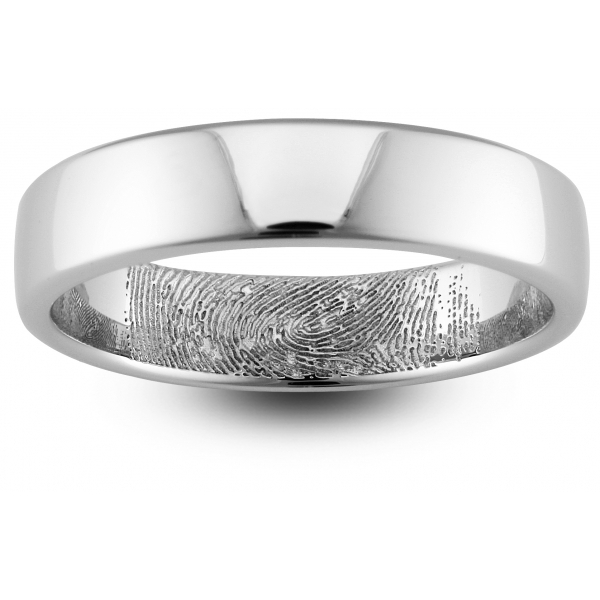 White Gold Slight Court Wedding Rings that are less rounded on the outside but still rounded on the inside. 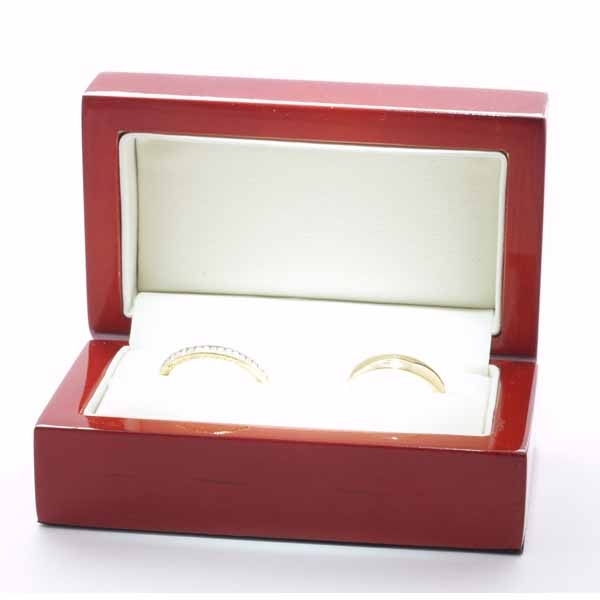 White Gold Flat Court Wedding Rings that are flat on the outside but rounded on the inside.